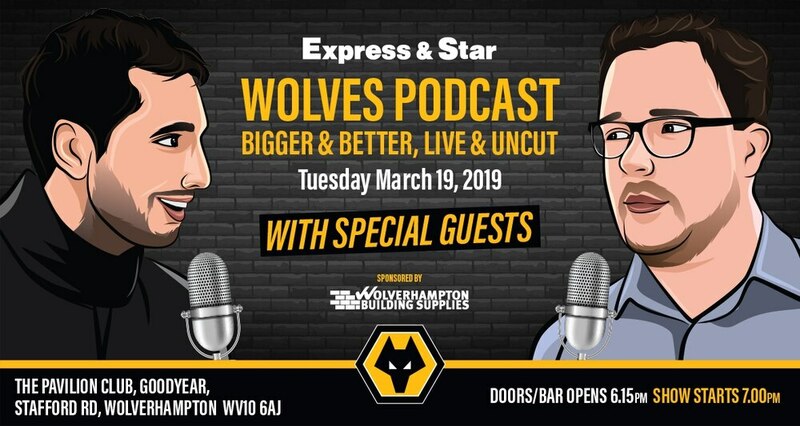 E&S Wolves podcast LIVE back on tour - Buy tickets here! The E&S Wolves Podcast with Tim Spiers and Nathan Judah is being recorded live once again - bigger and better than before! Wolves Podcast LIVE with Nathan Judah and Tim Spiers - Buy your tickets today! The duo will be recording their latest live and uncut episode at The Pavilion, on Stafford Road, on Tuesday March 19 at 7pm. Featuring two special guests, this event will be more candid and informative than ever before! Tickets are priced at £10. To purchase downloadable tickets for the event, click the link below. Tim and Nathan will be chewing the Wolves fat with plenty of fan interaction throughout the night. All your favourite segments will be on show including a special 'Abuse of the Week' live edition and a live Q&A. There'll be a host of surprises on the night for what's sure to be an unforgettable evening.